The Masche Technique is the unique application of Dr. Thurman Fleet’s Zone Healing. Dr. Fleet introduced Zone Healing to the world in 1931. Drs. Jack and Jackie believe that bringing balance to these systems helps the body to function better. 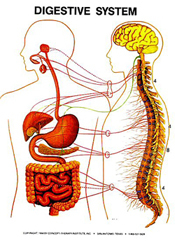 As this system moves from an IMBALANCED or SUPPRESSED state to one of BALANCE and VITALITY these different aspects of your body function better: Glands of the Head, Pineal, Pituitary, Memory, Energy, Skin, Hair, Glands of the stomach, Thyroid gland, Mammary Glands, Glands of Digestion, Pancreas, Liver, Appetite, Sleep, Elimination, Glands of the kidney region, Glands of the Pelvis, Uterus and Ovaries or Prostate and Gonads, Kidneys, Relaxation, Outlook on life, Temper, Concentration, Immune System, Hormonal System. As this system moves from an IMBALANCED or SUPPRESSED state to one of BALANCE and VITALITY these different aspects of your body can function better: Sinuses, Mucus elimination, Nasal passage, Throat, Nose, Bronchial tubes, Lungs, Kidneys, Bladder, Urination, Small Intestine, Colon, Bowel Movements, Skin, Toxins, Alkaline/Acid Balance. 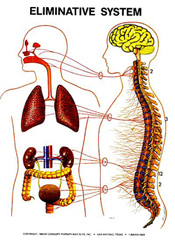 As this system moves from an IMBALANCED or SUPPRESSED state to one of BALANCE and VITALITY these different aspects of your body can function better: Nervous System, Eyes, Ears, Sense Organs, Solar-plexus, Digestion, Mood, Relaxation, Sleep, Reproductive organs, Appetite, Elimination,Nerves, Immune System, Hormonal Balance. As this system moves from an IMBALANCED or SUPPRESSED state to one of BALANCE and VITALITY these different aspects of your body can function better: Liver, Appetite, Taste, Salivary glands, Digestion, Gall Bladder, Pancreas, Elimination, Bowels, Stomach Glands, Intestines, Food Assimilation, Weight, Energy. 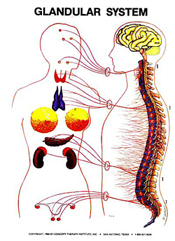 As this system moves from an IMBALANCED or SUPPRESSED state to one of BALANCE and VITALITY these different aspects of your body can function better: Muscles in neck region and arms, Movement, Normal feeling, Nerve life, Muscles of the chest, abdomen and back, Spinal alignment, Normal tone, Ease, Strength, Suppleness, Muscles of the pelvis region and thighs, Walking, Muscles from thighs to feet, Relaxation, Immune System, Equilibrium/Balance/Center of gravity. 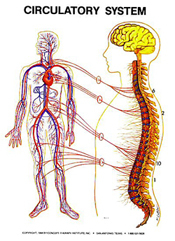 As this system moves from an IMBALANCED or SUPPRESSED state to one of BALANCE and VITALITY these different aspects of your body can function better: Thyroid gland, Blood pressure, Heart, Ease, Strength, Blood vessels of back, arms, chest, abdomen and lower extremities, Circulation, Lymph vessels, Movement of limbs, Relaxation. When one seeks chiropractic health care and is accepted for such care, it is essential for both doctor and patient to be working towards the same objective. 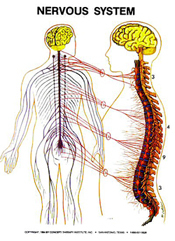 Chiropractic has only one goal-releasing interference to the nervous system. It is important that each person understand both the objective and the method used to obtain it. 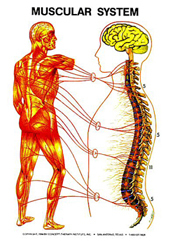 Adjustment: An adjustment is the specific application of forces to facilitate the body’s connection of vertebral subluxation-in chiropractic it is by specific adjustments to the spine. Health: A state of optimal physical, mental and spiritual well being, not merely the absence of disease or infirmity. Vertebral Subluxation: A misalignment of one or more of the 24 vertebra in the spinal column which causes alteration of nerve function and interference to the tranmission of mental impulses, resulting in a lessening of the body’s innate ability to express its maximum health potential. Chiropractors do not offer to diagnose or treat any disease or condition other than vertebral subluxation. However, if during the course of a chiropractic spinal examination, non-chiropractic or unusual findings are encountered, you will be advised. Regardless of what the disease is called, chiropractors do not offer to treat it. Nor do chiropractors offer advice regarding treatment prescribed by others. The chiropractor’s only objective is to eliminate a major interference to the expression of the body’s innate wisdom. The only method is specific adjusting to correct vertebral subluxations. Find out how the Masche Technique can get you into a healthier balance. Call (414) 529-5370 today!